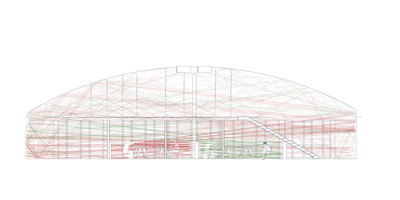 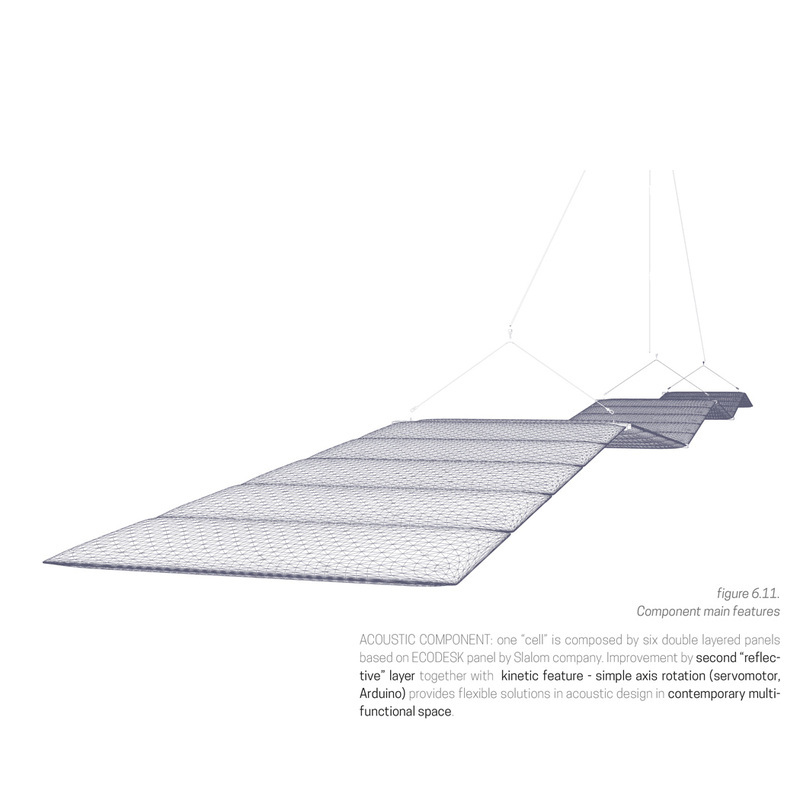 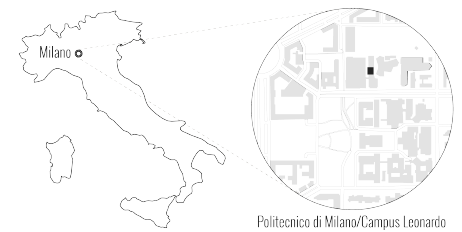 The aim of the work is to study redefined design strategies in the area of Architectural acoustics. 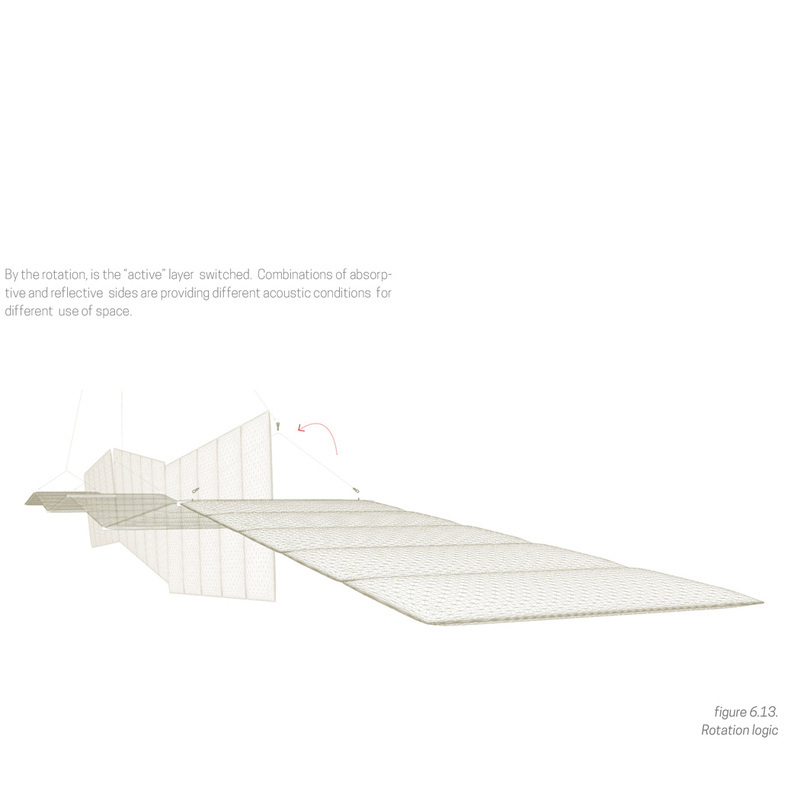 This idea arose from the observation that the acoustical considerations in architecture tend to be static and generally the field architecture is ocular-centric; however, the appearance is not the only final element to define the space. 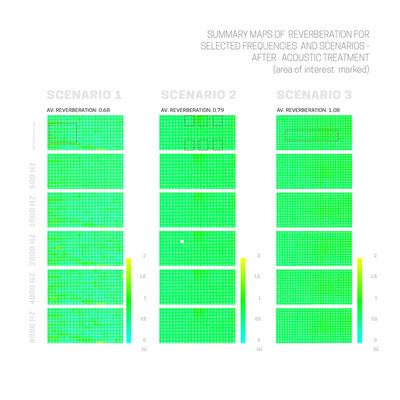 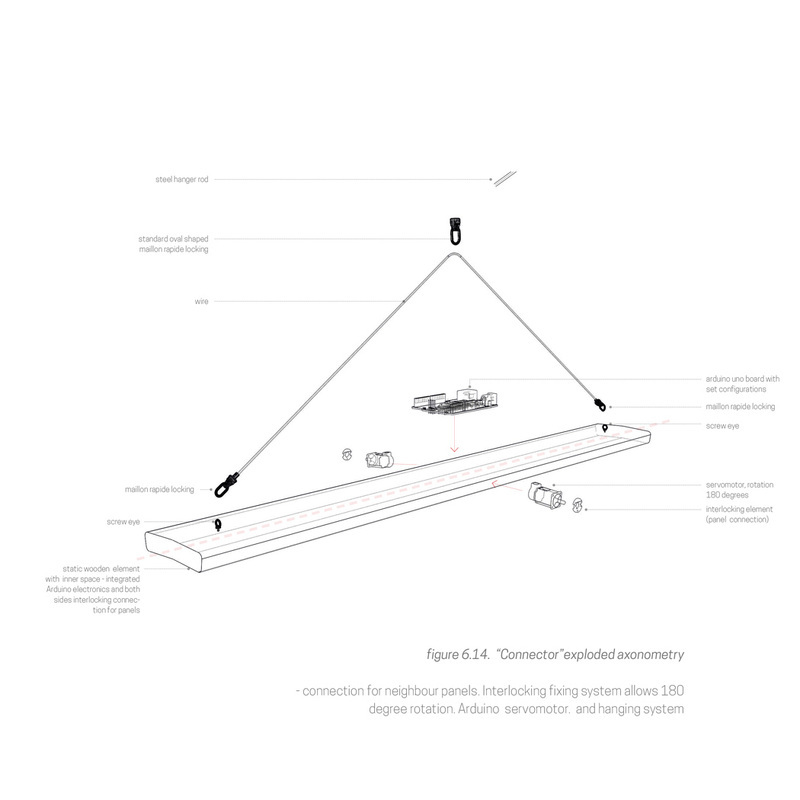 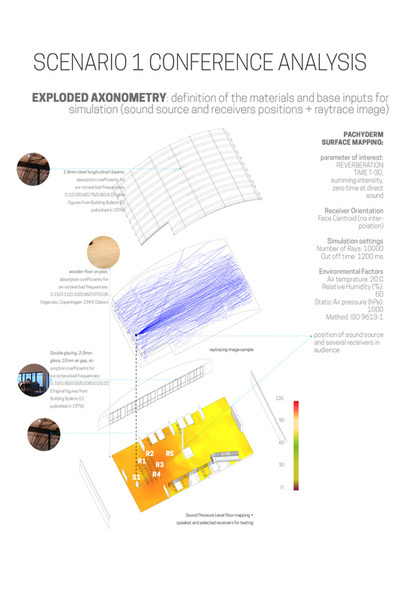 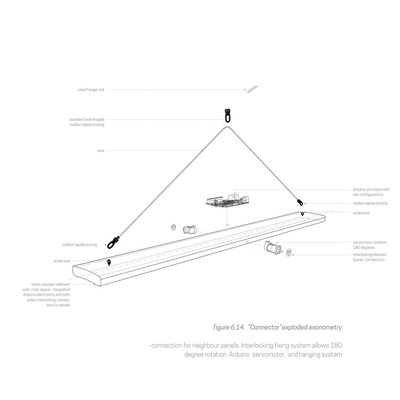 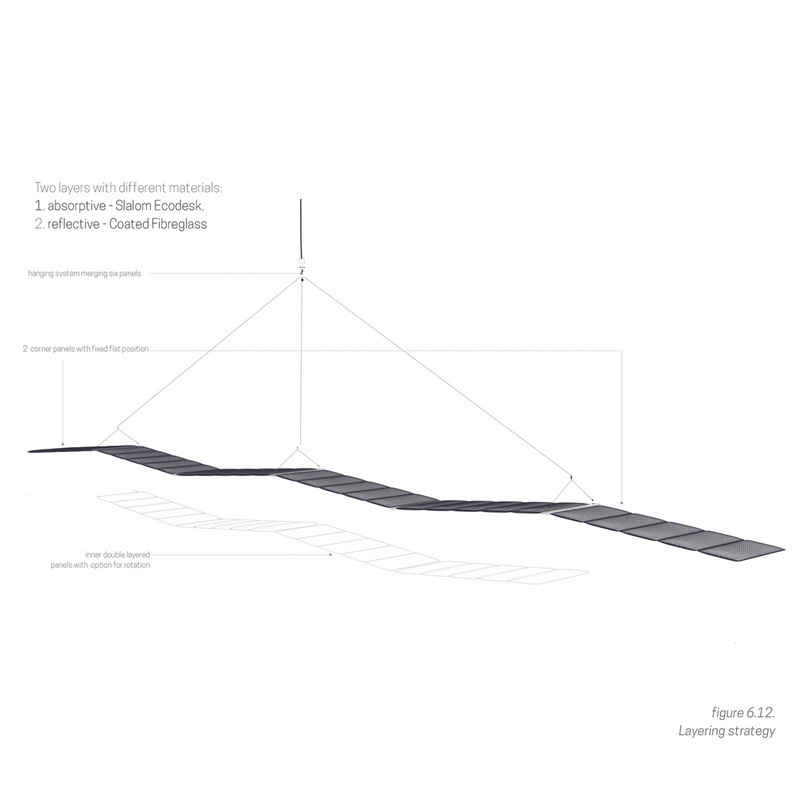 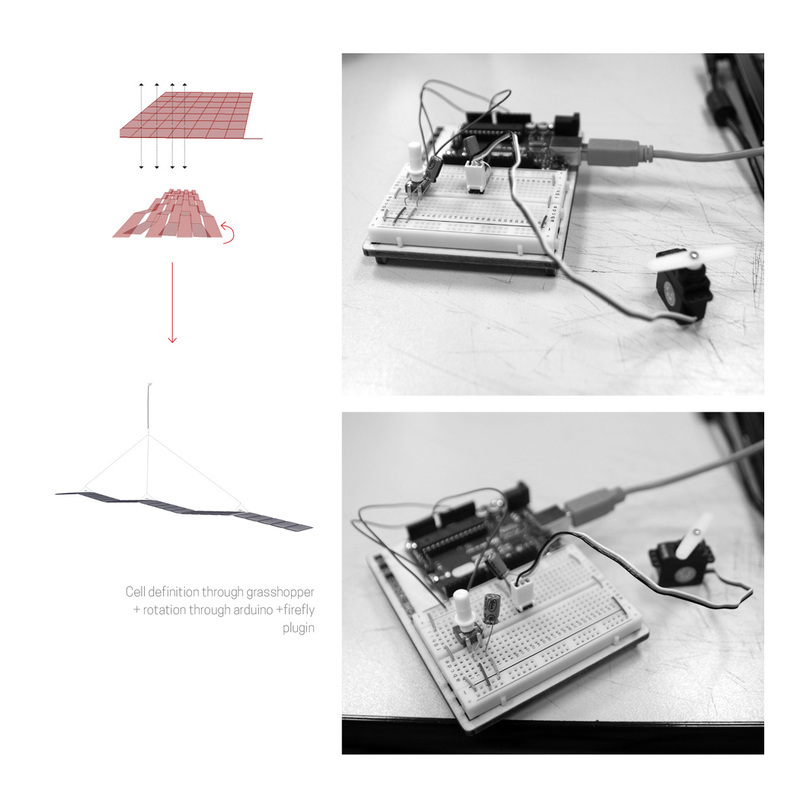 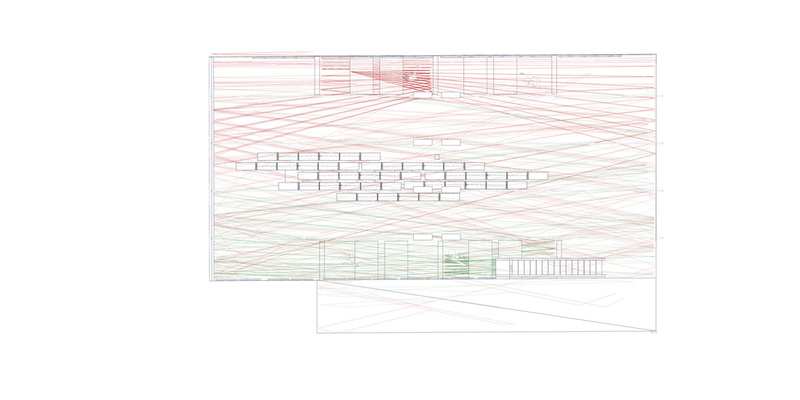 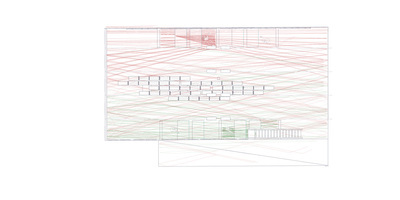 The work is proposing the path for an acoustic treatment influenced by the specific internal sound conditions. 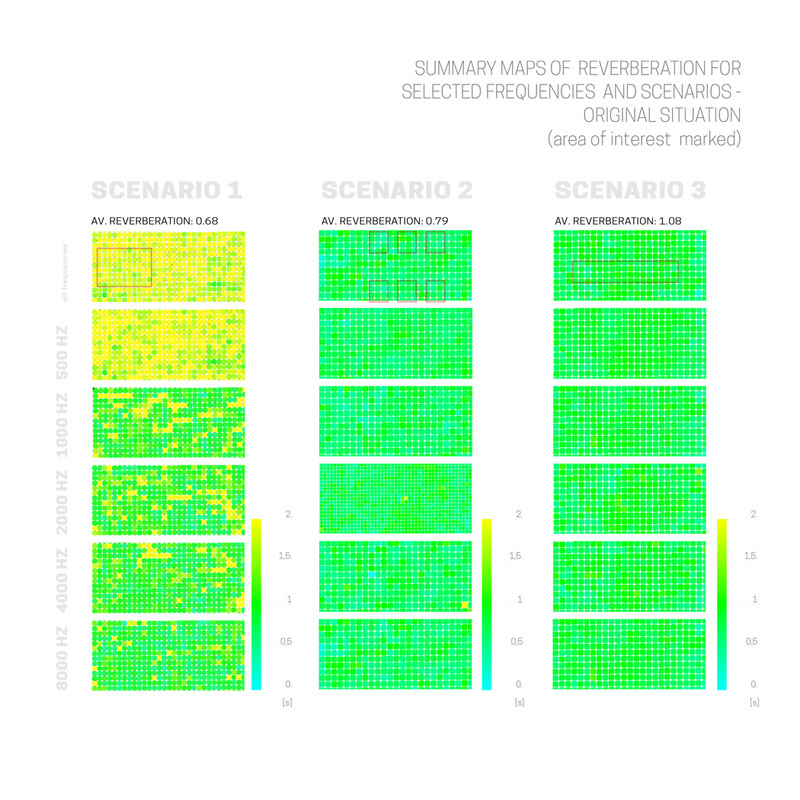 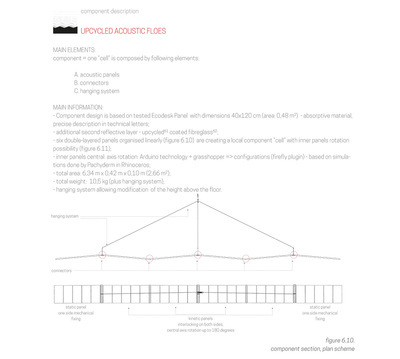 The research, taking place in a multifunctional space in Milan (Upcycle Milano Bike Cafe) is focused on the reverberation time criteria. 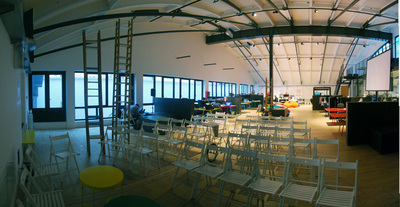 A formerly abandoned garage, nowadays well-designed contemporary place with a flexible program is described as “a marketplace for sustainable innovation where business, ideas, and projects can meet”. 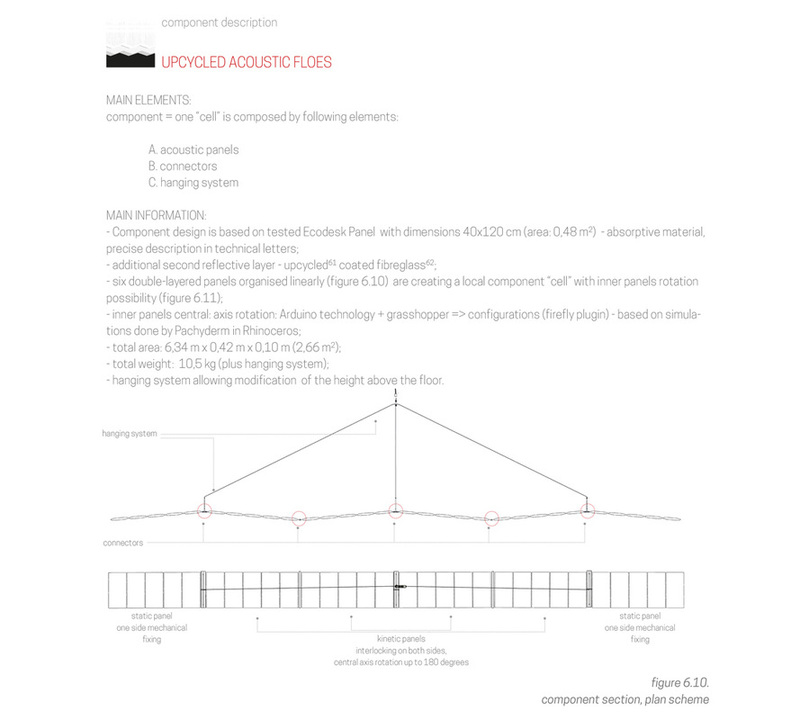 Neglecting the acoustic conditions in the architectural design are causing (by its daily changed events and various functions of the place) problems that should be considered and proactively avoided by the architect. 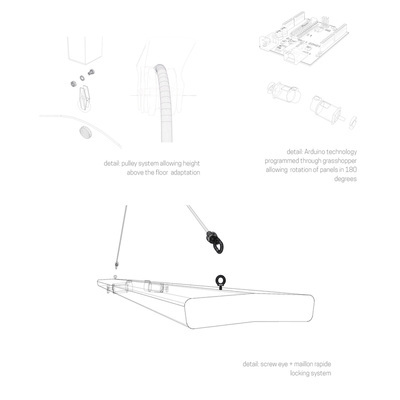 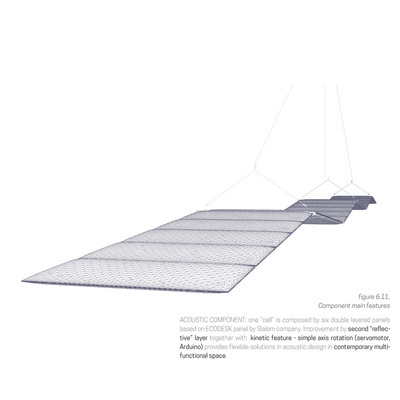 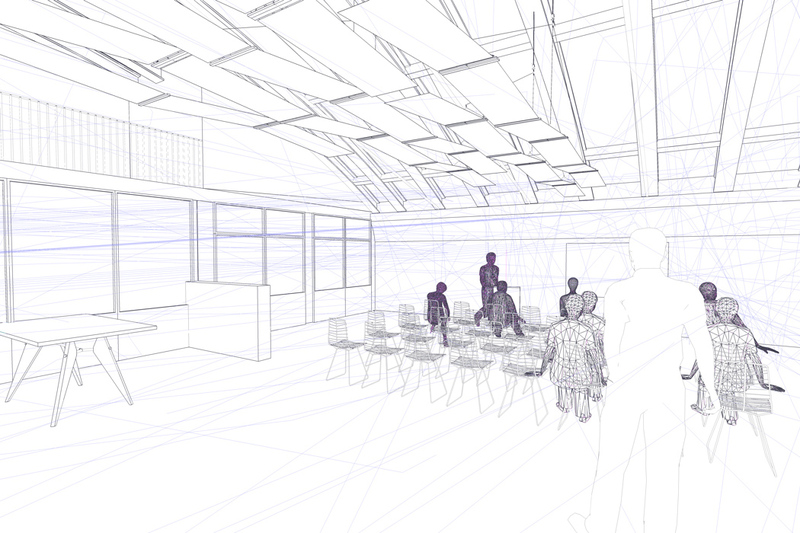 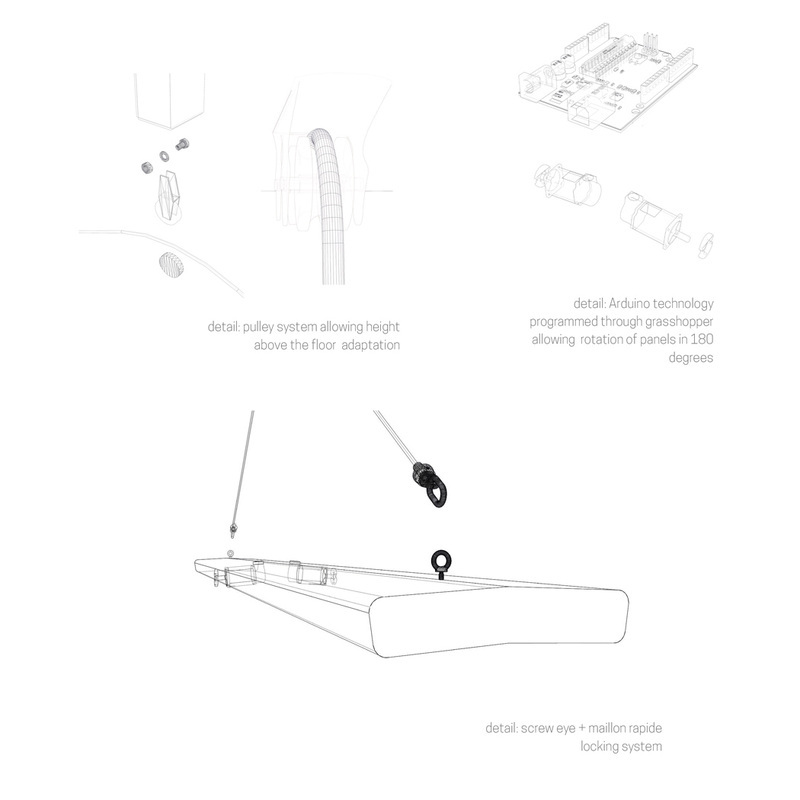 The Project is describing an acoustically interactive kinetic ceiling by the use of computational tools with the main focus on performance of different combinations of absorbent and reflective materials (in cooperation with Slalom company). The original Slalom absorbent rectangular panels are improved by a second reflective layer that, by axial rotation, can create different different acoustic conditions within the open-plan space. 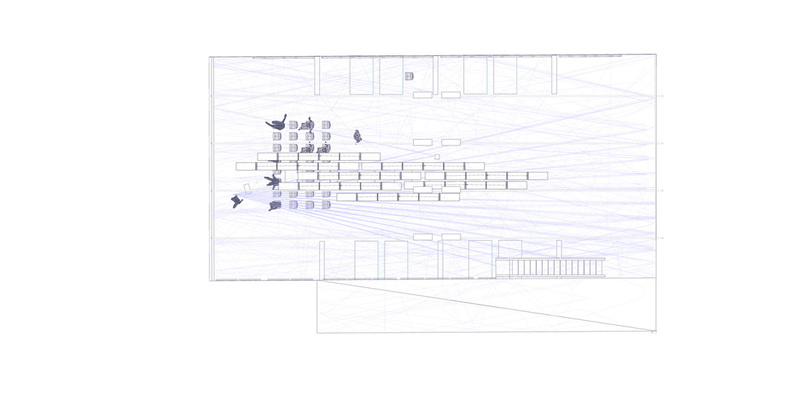 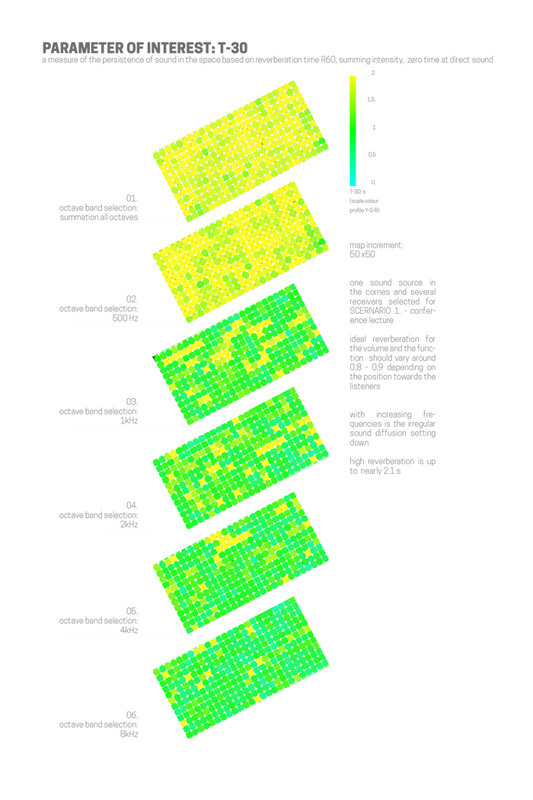 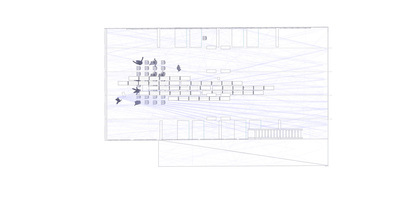 The proposal suggests three different configurations, for different scenarios (conference, co-working, market) that vary in their desirable reverberation times. 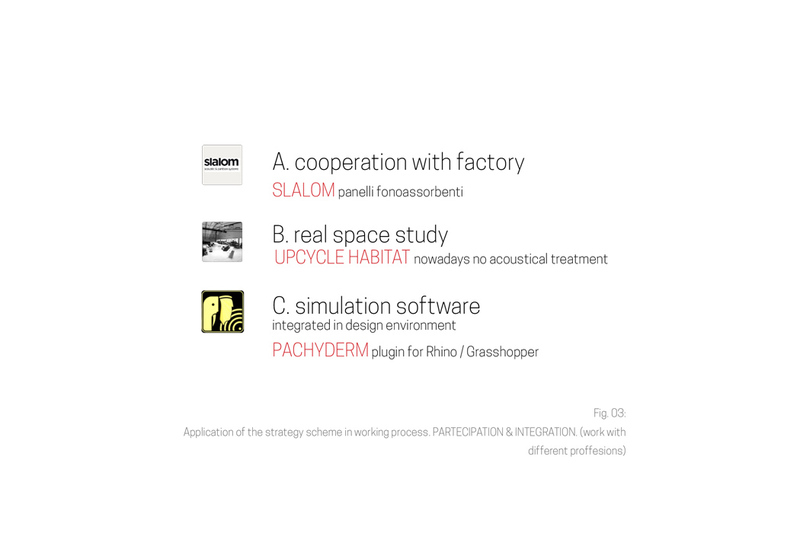 Furthermore, the proposal suggests possible potentials for the future. 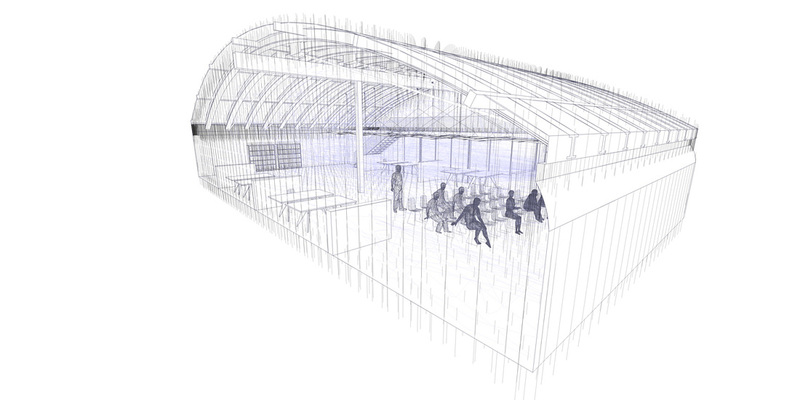 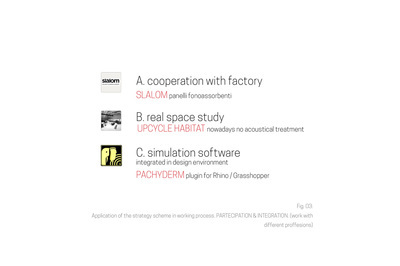 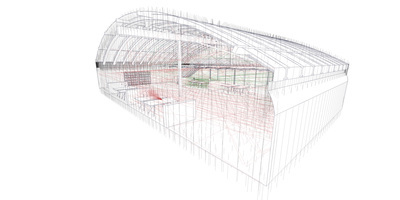 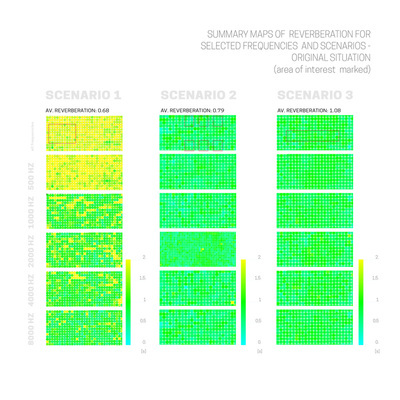 Simulations are done through the Pachyderm plugin for Rhinoceros and Grasshopper, which is provides an effective evaluative tool for acoustics, integrated within the design environment. 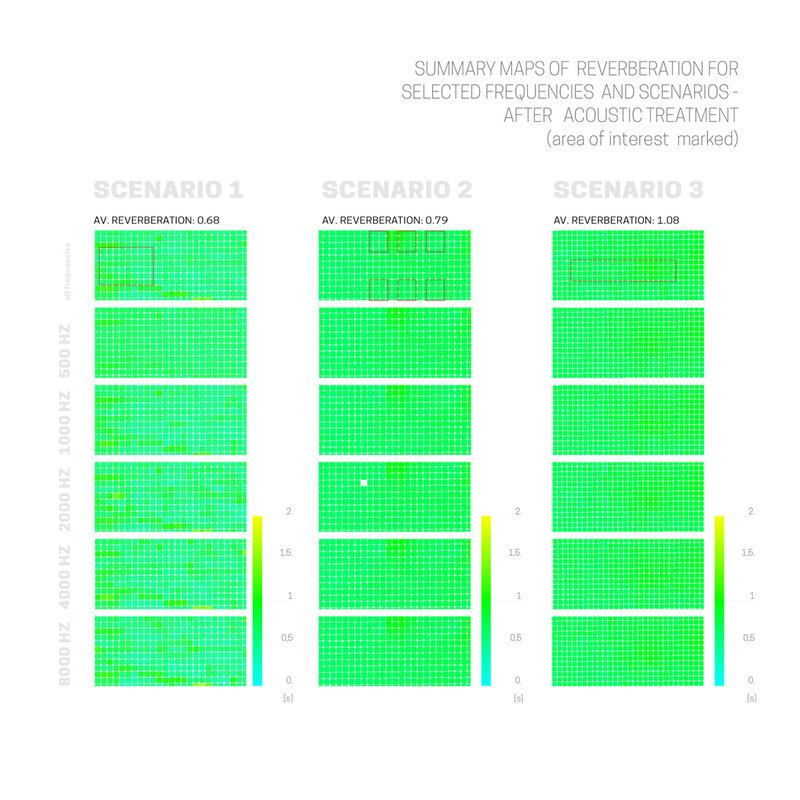 Pachyderm can provide control over the acoustic comfort parameter already in the early stage of the design, not only the final analysis.